In case you’ve been under a rock or stuck on iHub trying to justify why or when diluting MM’s are going to leave the OTC ticker you are being told is going to a buck, I started www.32Trades.com in January and it’s BANGING! 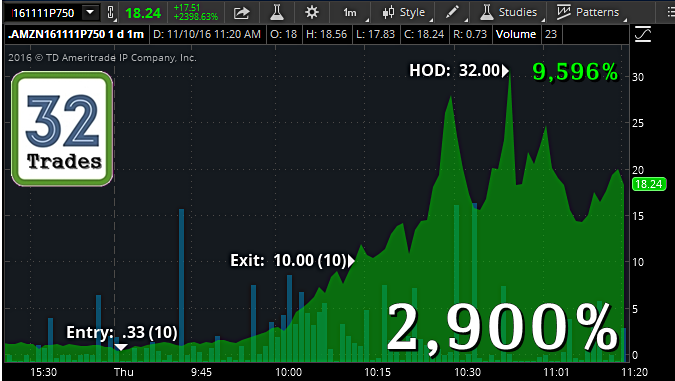 Not once, not twice, not even three times a week, but try three times a day we average seeing options trades that double, triple, and even 30 bag! Sound bragadocious? Come check us out for a day and I’m willing to bet you won’t want to ever look at an OTC ticker again. THERE IS STILL A BIG MOVE COMING! It’s all on you, but for as little as $2 a trading session, you’d be a fool not to change your ways and start to take the money the market is begging to give you. Join us and start REALLY making what you have always wanted to make, but been either stuck or focused on the diluting OTC Markets. 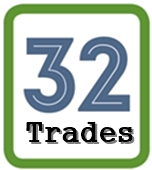 Check Out Our Concept (www.32trades.com) – You Won’t Regret It! Last updated by Timothy Richards at November 10, 2016 .